Douglas County Partners for Student Success works to open doors to bright futures for all students in Douglas County. Sheri Carson, teacher extraordinaire at Roseburg High School, is a model for all of us working with our youth. Over the past 21 years as a culinary arts teacher for the school’s family and consumer studies program, Carson has guided countless students toward potential career paths in the restaurant and hospitality industry. Sheri Carson receives her ProStart Teacher of the Year award. And when she was nominated this year for the ProStart Teacher of the Year award, Carson thought back to one of those students for inspiration. As part of the nomination process for the award – sponsored by the Oregon Restaurant & Lodging Association – Carson was asked to submit a personal essay. She wrote about a 2002 RHS graduate who dreamed of becoming a chef one day. “That’s what his passion was,” said Carson, who also serves as the Family, Career and Community Leaders of America adviser; the career and technical education division leader; the Perkins grant coordinator; a driver’s education teacher; and the interim FFA adviser. The student’s family was not supportive of his career aspirations, she said, believing there was little success to be found in the culinary industry. But Carson knew better. Her support and guidance allowed the student to attend culinary school and go on to become a successful chef and businessman. The spotlight shone on Carson’s work with students last month when she was named ProStart’s Teacher of the Year, an honor that means the world to her. “I just like working with the kids, that’s the main thing,” she said. 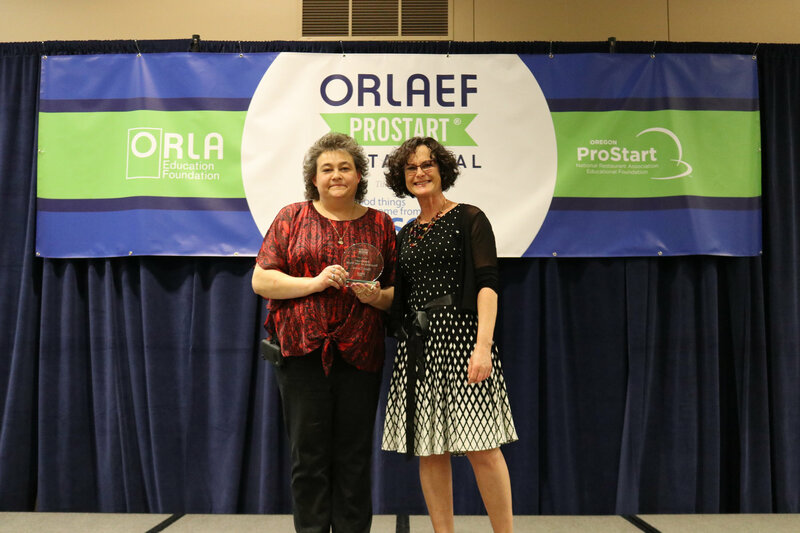 Carson was honored following the Oregon Restaurant & Lodging Association Education Foundation’s ProStart invitational in Salem on March 18. Three of her students competed in the culinary competition. Roseburg High School students compete in the Oregon Restaurant & Lodging Association Education Foundation’s ProStart invitational in Salem last month. ProStart is one of the nation’s largest industry-supported career and technical education programs and teaches high school students culinary and management skills needed by restaurant, hospitality and food service employers. Carson implements the ProStart curriculum in her classes at Roseburg High. RHS Principal Jill Weber said Carson has sparked passion for culinary arts careers in countless students. 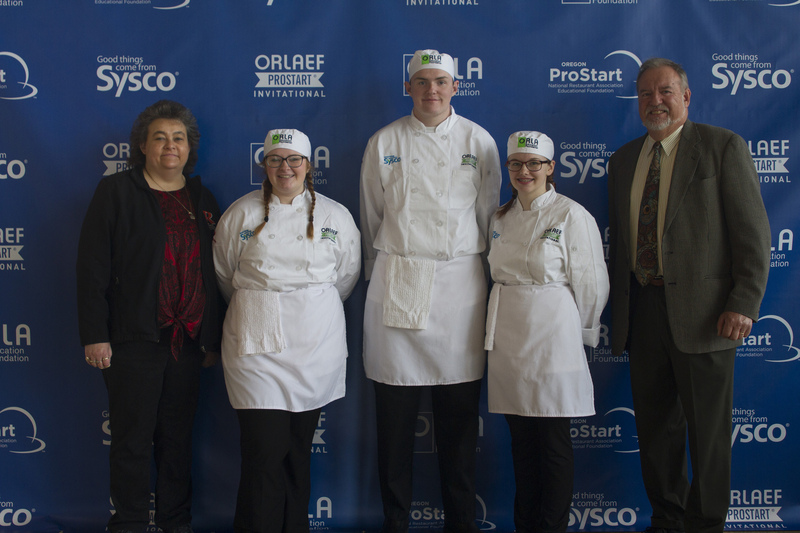 The Roseburg High School team at the Oregon Restaurant & Lodging Association Education Foundation’s ProStart invitational in Salem last month. Carson said the ProStart curriculum and competition is important for students who are serious about culinary and hospitality careers because it’s industry-based and -supported. 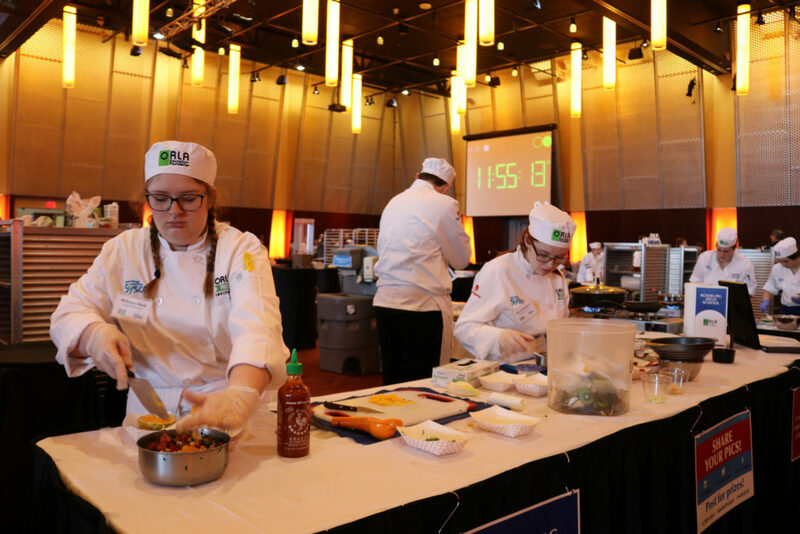 The competition was judged entirely by professional chefs, she said, and the scholarship awards – winners received a share of over $675,000 in funding – will make college possible for many of the students. “When industry is behind it, there are higher stakes,” she said.